Recently, I sat in the grass at an alfresco lunch with women between the ages of 70 and 90. We belong to a philanthropic organization dedicated to women’s education. “Did you grow up reading Nancy Drew?” I asked the three closest to me. “Oh yes,” they said, almost in unison. They leaned in toward me. “I didn’t have my own set,” said Marie, who is closer to 90. “I grew up poor, and I mean poor. I had to borrow them from whoever had them.” The Nancys of her era were the highly prized early editions—blue with an orange silhouette of the girl detective. The adventures of Nancy Drew, perhaps the best-known girl detective in children’s literature, spanned decades, yet Nancy remained about the same age. It may surprise you to learn that the basic outline of Nancy’s personality was first conceived by Edward Stratemeyer in the 1920s. At this point, you might be trying to remember the author’s name from your grade-school reading log: Carolyn Keene. So who is Edward Stratemeyer? By 1929, Stratemeyer was a successful children’s book mogul. He ran a company called The Stratemeyer Syndicate, hiring ghost writers, most of them newspaper reporters, to flesh out ideas he outlined, publishing all of the books under continuous pseudonyms. Each writer signed a contract that assigned all rights to the Syndicate, and promised secrecy about their involvement with the series, which almost no one honored. These suggestions are for a new series for girls verging on novels. 224 pages, to retail at fifty cents. I have called this line the “Stella Strong Stories,” but they might also be called “Diana Drew Stories,” “Diana Dare Stories,” “Nan Nelson Stories,” “Nan Drew Stories” or “Helen Hale Stories.” […] Stella Strong, a girl of sixteen, is the daughter of a District Attorney of many years standing. He is a widower and often talks over his affairs with Stella and the girl was present during many interviews her father had with noted detectives and at the solving of many intricate mysteries. Then, quite unexpectedly, Stella plunged into some mysteries of her own and found herself wound up in a series of exciting situations. An up-to-date American girl at her best, bright, clever, resourceful and full of energy. Grosset & Dunlap bought the idea at once. Stratemeyer had an author in mind for this new series. Mildred Wirt had answered an ad in Editor magazine while a student at the University of Iowa. The ad described the work of the Syndicate, including the pseudonyms, and ended with: “We are particularly anxious to get hold of the younger writers, with fresh ideas in the treatment of stories for boys and girls.” When she answered the ad, in 1926, Mildred was 21 years old. In the years that followed, she wrote several books for the Syndicate, at $125 a manuscript, equal to about two month’s salary for a newspaper reporter at the time. I wouldn’t have pictured her as a 24-year-old newlywed, but that’s exactly what Mildred Wirt was when she wrote The Secret of the Old Clock. 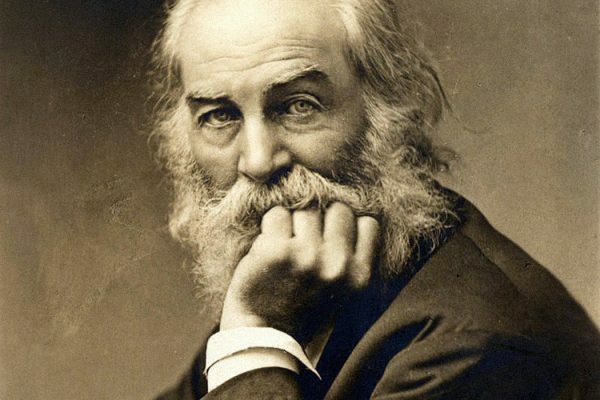 As children, we often think of authors as unimaginably older than ourselves. Whoever Carolyn Keene was, I wouldn’t have pictured her as a 24-year-old newlywed, but that’s exactly what Mildred Wirt was when she wrote The Secret of the Old Clock, which introduced Nancy—an edit on Nan, suggested by the publisher—to the world. The U.S. was in the early stages of the Great Depression. Nancy was green-lit by Grosset & Dunlap just days before the stock market crash, but you wouldn’t know it from reading the books. She drives her roadster and dresses immaculately throughout the Depression and several wars, only alluding to them in the most oblique terms. (In one book, she takes flying lessons. 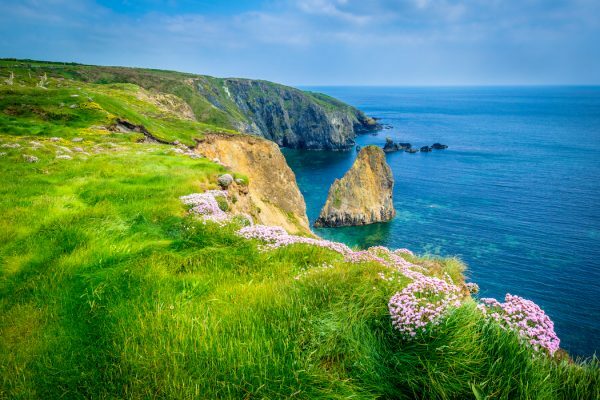 And at another point, someone mentions that Ned, her ever-steadfast, never serious beau, is in Europe.) If you wanted to, you could disappear into the cozy world of River Heights where all the bad things would be brought into the light and Nancy would deal with them. The plots were intentionally kept free of murder and anything too harrowing, as well as anything that might be seen as sexual—Nancy and Ned never kiss. They were intended to be safe for children, but also functioned as an escape from the heavy realities of their cultural moment. The refusal to address current events made the books timeless up to a point, but it was Nancy who did the heavy lifting. In an article called “Solving the Crime of Modernity: Nancy Drew in 1930,” the author and literary scholar Amy Boesky puts her finger on exactly what a Syndicate character was intended to do. “Above all, the young heroes in Stratemeyer’s books were shown prevailing over evil, setting right the disordered world around them,” she writes. This mission was shared by the Hardy Boys, another very popular Syndicate series. Is it any wonder that children devoured them? Should they sell the company or run it themselves? The Depression eventually made the decision for them. Edward Stratemeyer didn’t live to see Nancy become a worldwide phenomenon. He died just twelve days after she was published for the first time, leaving his two daughters in a predicament. Should they sell the company or run it themselves? The Depression eventually made the decision for them. Since no buyers were forthcoming, Edna Stratemeyer and Harriet Stratemeyer Adams began to run the Syndicate with the help of their father’s loyal secretary, Harriet Otis Smith, who introduced Nancy’s friends Bess and George to the series. 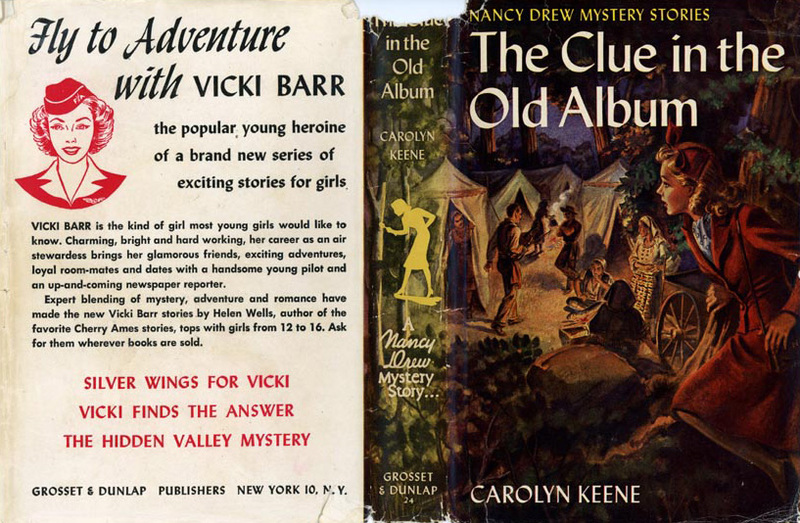 Though several people wrote Nancy Drew books over the years, the two who wrote the most were Wirt and Harriet Adams. 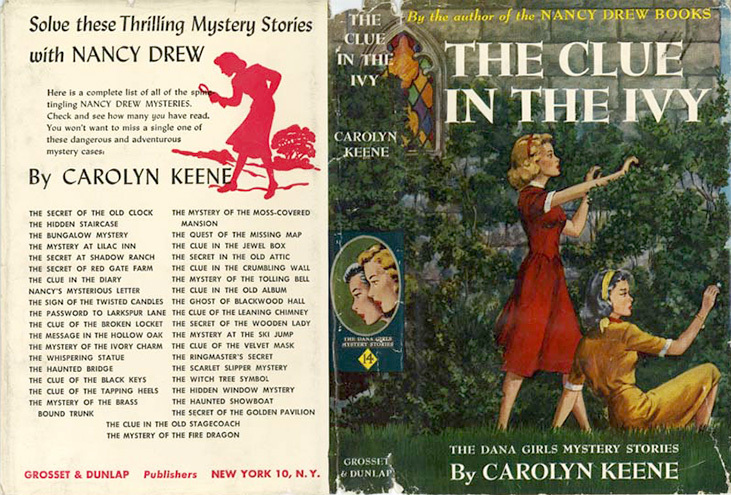 Both claimed to be Carolyn Keene over the years, but sometimes I wonder if both were really just claiming to be Nancy. Girls of junior high school age take particular delight in the “mysterious.” They faithfully patronize local showings of horror films and titillate one another with the details of the television fare of the previous evening. Usually they begin their baby-sitting careers when they reach twelve years of age and junior high school. As a result, they frequently find themselves alone in strange houses at night, and the pleasure-pain of fright is stimulated. It’s easy to wonder if Daigon actually spoke with any junior-high-school-aged girls before writing this article. 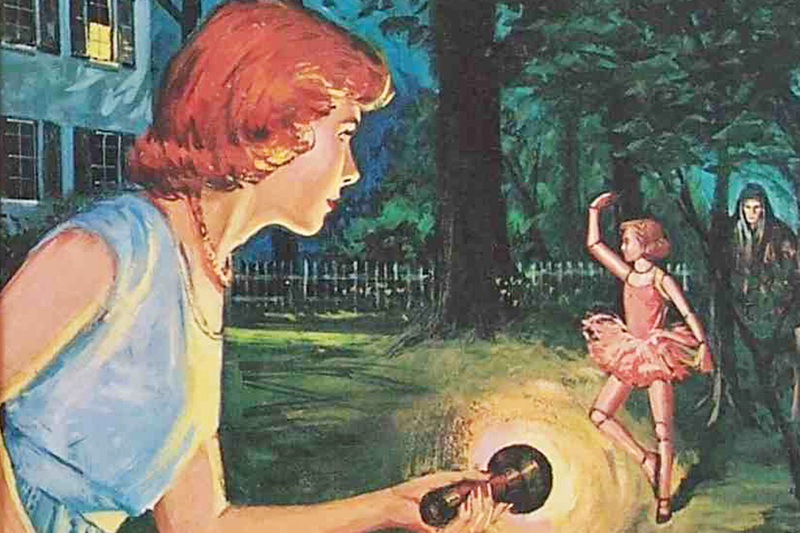 I told Lynne and Marie about Arthur Daigon’s answer to the perplexing question of why young women would have wanted to read Nancy Drew—babysitting in dark houses alone. “You may tell him that is hogwash,” said Marie. I was long past the age of consuming Nancy Drews like water, going through two or three on a summer day, when I ran across Rehak’s book at the library and learned about Nancy’s origins for the first time. At first I felt betrayed—Carolyn Keene wasn’t a real person. I had dutifully written her name at the top of my book reports, but she’d never existed. There was no woman who had been inspired to create a character that would capture the imagination of millions of girls, following them into womanhood. 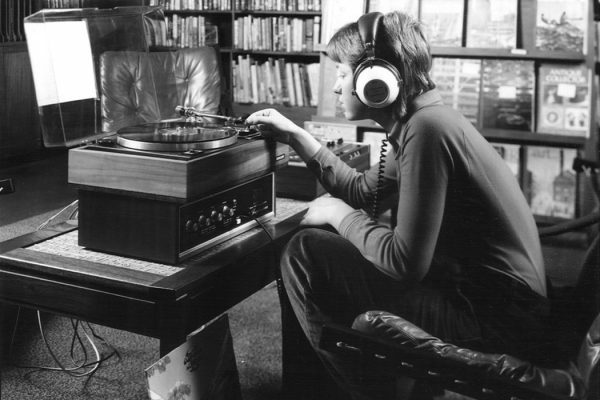 Nancy had only been a way for people to pay their bills. Nancy has both of these women in her. She has Adams’ privilege and money, perhaps her friends. She has Wirt’s freedom and grit. She has both of their drive for excellence, their tireless work ethic. So, as far as I’m concerned, they are both Carolyn Keene. 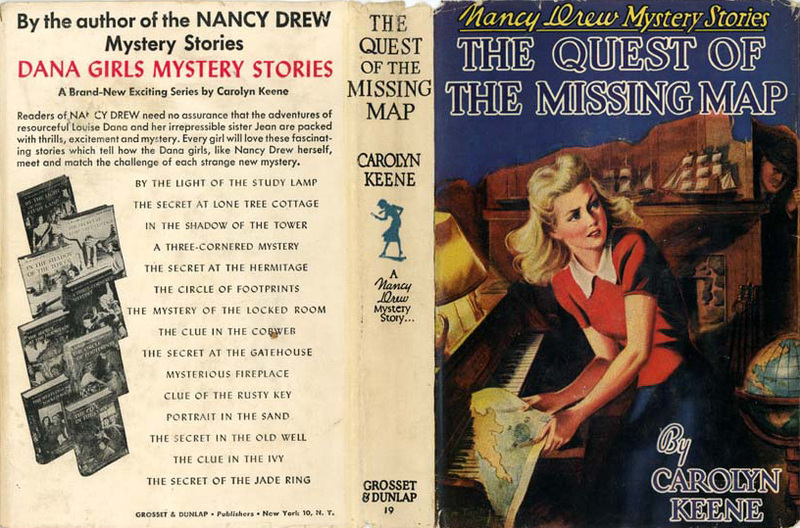 Correction: A previous version of this story stated that yellow-backed Nancy Drew editions first appeared in the 1950s. 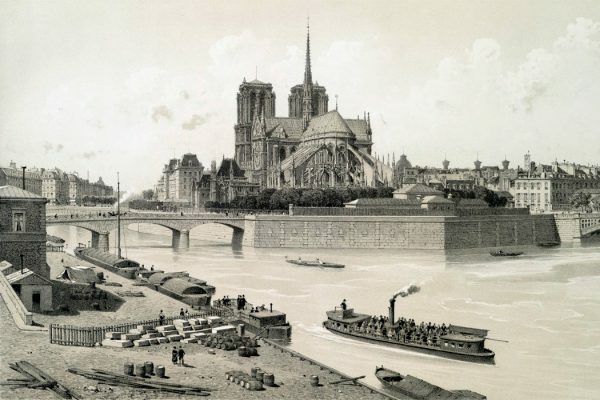 They appeared in the 1960s. Why Was Turkish Delight C.S. Lewis’s Guilty Pleasure? Austerity during WWII was hardly the time for pounds of exotic candy. 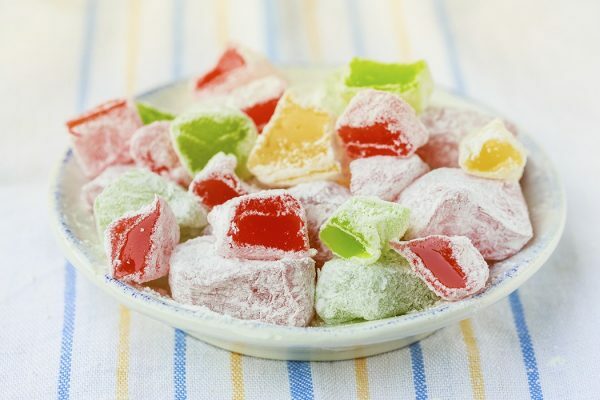 Yet The Lion, the Witch, and the Wardrobe prominently features Turkish delight.